I don't know if Fall arrived in your home town this weekend, but it graced us with it's beauty for us in small town Katy! It was glorious!! We have an announcement to make about our little blog: While we have been beyond thrilled to share with you our love for crafts, DIY and food, we feel as though we'd like to get a little more personal. We will be adding a Tuesday post that will be all about us, featuring one Huckleberry Love Lady a week. So be sure to come back and get to know us a little better! If you happened to miss our Friday Features, be sure to go back and check them out! Now, let's kick this week off with another fab party!! Happy to be at the party tonight! It sure will be fun to learn a little more about each of you in your new post format. Looking forward to it. Thanks for hosting. 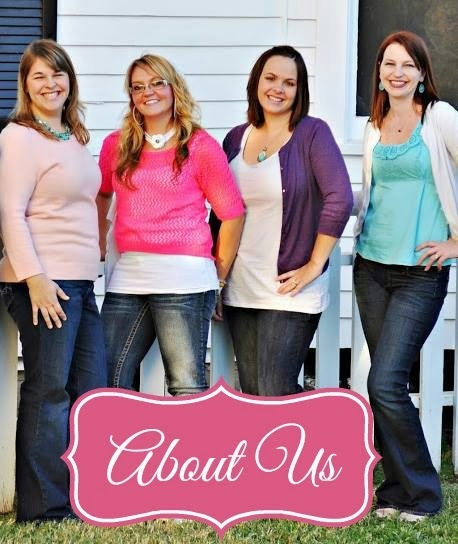 I think it is so fun that five of you work together on the blog. It must make the work so much easier. Thanks for hosting. I am looking forward to getting to know your blog better. I enjoy being a part of your party each week. Thank you for hosting. I'm excited to see what new look your posts will have. Thanks for a great party! I am off to visit!